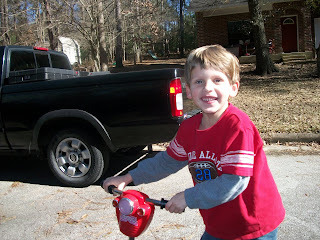 Another video that Angie took of Brady when he stayed and played at her house. He loved playing with the doll. He gave her food, water, a pacifier. He shared his popcorn with her. He rocked her. What a sweetie! A precious video of Brady barking, laughing, and waving "bye-bye" to Blue (one of Angie's dogs). 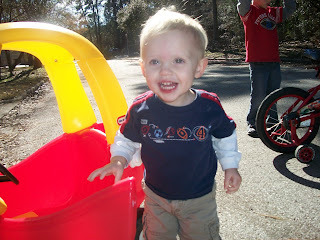 Brady loved playing with this baby doll at Angie's house. Giving the baby some delicious food. Sharing his popcorn with the baby. She's thristy now so he gives her a drink. He even took the baby with him outside. Dawson enjoying some yummy pizza at Angie's. 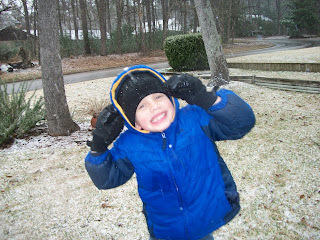 Brady smiling and saying "cheese." I love this picture!! Brady is looking at the dogs through the fence. 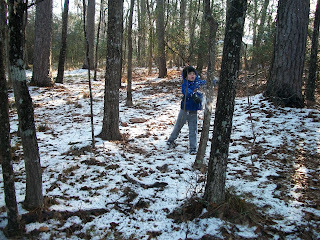 Dawson peering between the trees. Dawson and Kaelin enjoying a game of hopscotch. 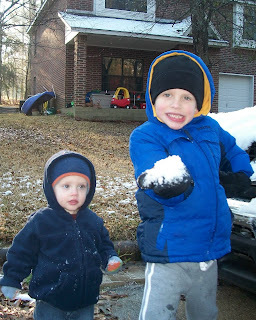 Kaelin and Dawson enjoying a Popsicle. 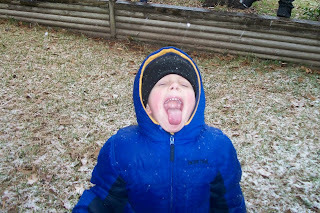 We were so excited to have another snow day. 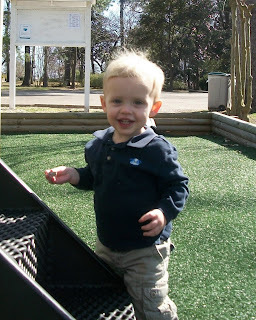 This picture captures Dawson enthusiasm. 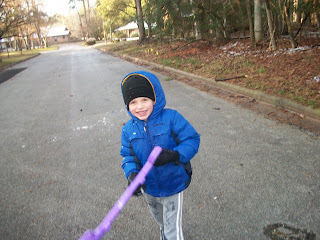 Getting ready to pelt me with a snow ball - really, it was a hard ice ball. 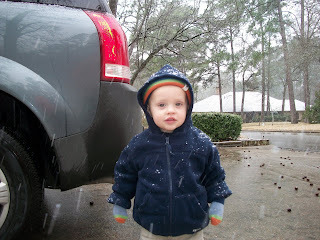 Brady still a little tired (he had just woken up from his nap) and not sure how he feels about all this cold stuff. 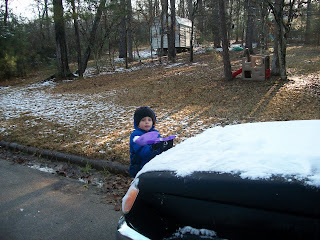 Playing with the leftover snow the next morning. 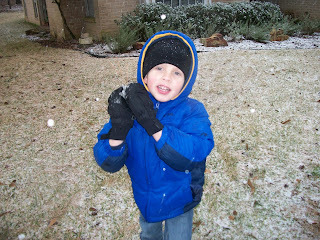 Throwing snow onto the trees. 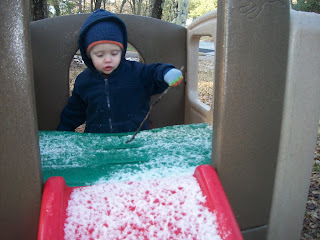 Scraping the ice on his playhouse. 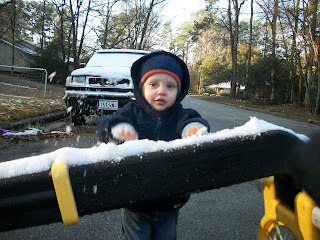 Dawson thought to use his shovel to scoop snow off the truck. 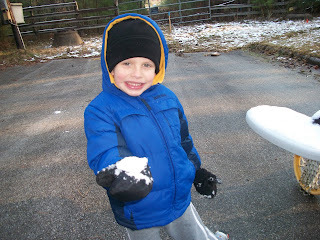 And then he would toss the shovel of snow on me, which he thought was the greatest thing ever. Good times. 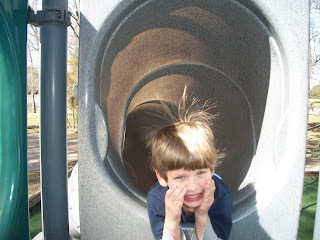 Dawson's crazy hair from all the static at the park. 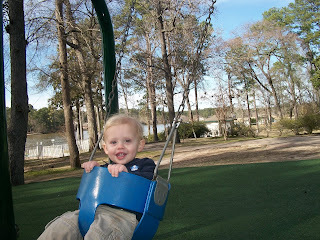 Brady loves to swing at the park. 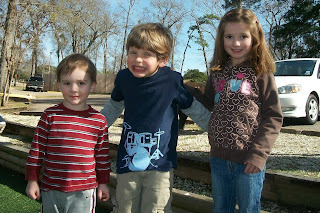 Dawson with friends Hudson and Kaelin on a beautiful day at the park. 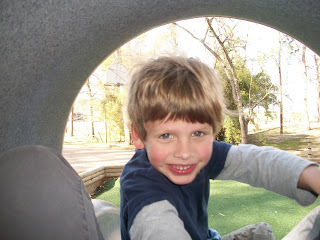 The train ride through the shark tunnel was a favorite. 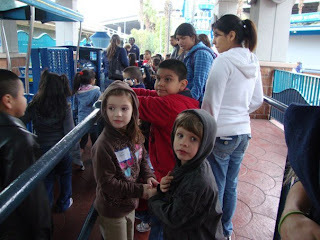 Kaelin and Dawson holding hands and standing in line for the train. 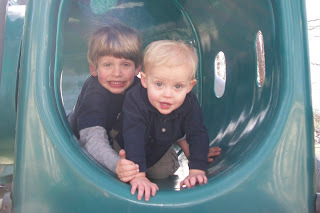 What sweet friends! 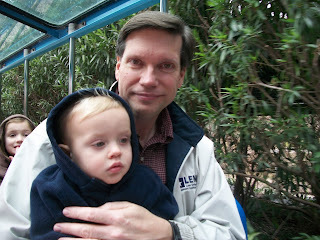 Randy and Brady on the train ride. 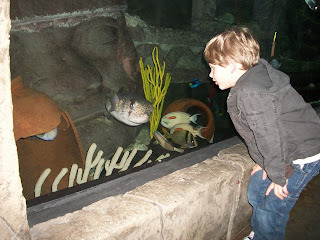 We joined the local homeschool group for a field trip to the Houston Downtown Aquarium. 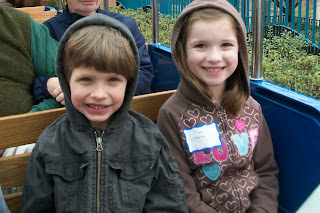 We enjoyed seeing all the fish at the aquarium and riding the rides that were open. What a great place! 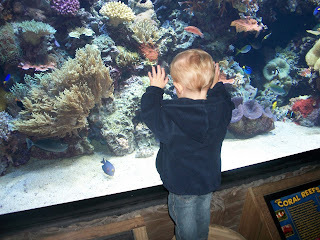 Brady looking at the colorful fish in the coral reef. 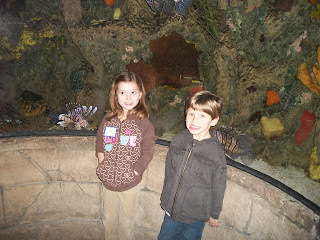 Kaelin and Dawson by the lionfish. 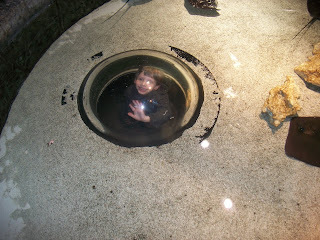 Brady climbed up to get a closer look at the stingrays. 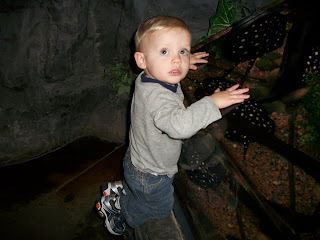 Dawson was fascinated with the puffer fish. Looking through the peephole at the fish swimming by. 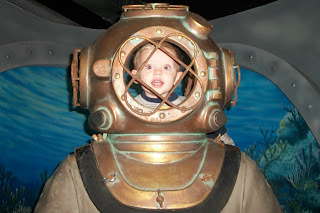 Dawson in the diving suit. 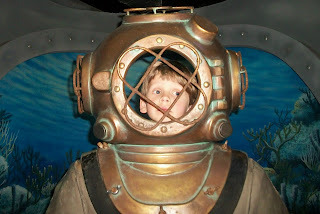 Brady in the diving suit. 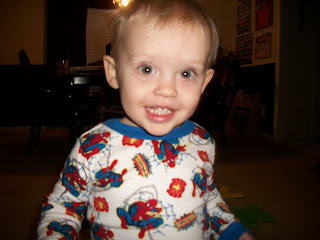 Brady sees me with the camera and comes over to say "cheese." 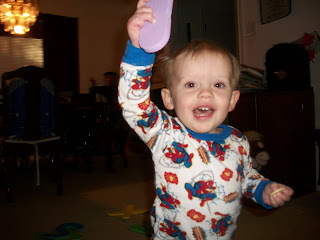 Brady loves to bring us letters. 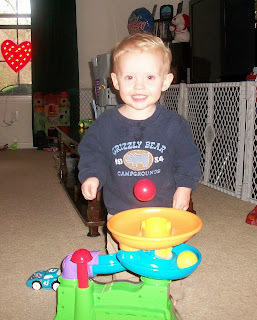 He knows all of his uppercase letters so when we ask him to bring us a specific letter he'll do it - and he loves to play this game! Dawson also knew his letters when he was 1 1/2 (something that all kids are capable of learning at a very young age - plus so much more). Blowing into the hole to get the balls to pop out. Smiling as the balls come popping out. 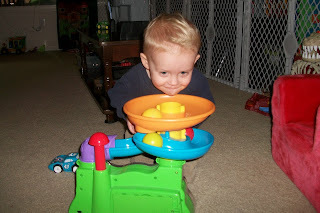 He loves this toy! 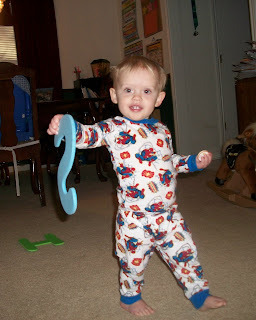 Dawson plays with his superheros all over the house. 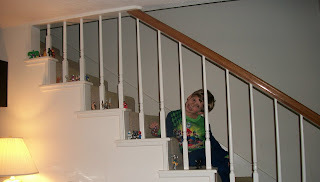 On this day, they were all over the stairs.